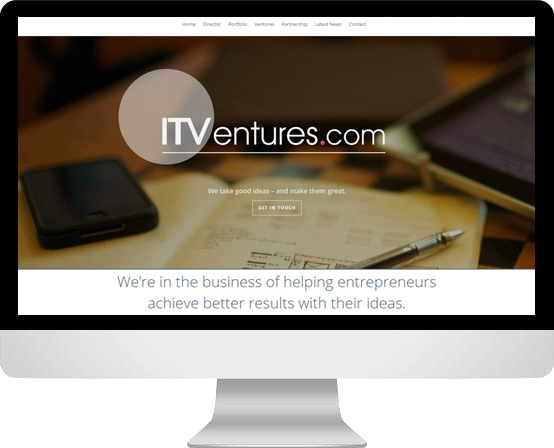 ITVentures.com is a new company that approached us and asked for us to build them a website which would represent their interest in the development of new technologies, comapnies and ventures in New Zealand. We played around with a couple of ideas and settled on a clean and simple look. The site is incredibly simple to use, but still easy on the eyes, with full-scale backgrounds and plenty of white space. And because the company was so new, we created an entire brand, including the colour scheme and even the logo.